[Note: This post is now superseded by Dust Warfare/Battlefield Resources — June 2014] Battlefront released a somewhat confusing set of posts (one and two) regarding Dust Warfare. It seems that FFG still has the rights to all current models (at least until stock runs out) as well as the rules for Dust Warfare. Battlefront will be releasing all new models (with the new DW cards) and campaign PDFs. But it seems that Dust Warfare itself is still in the hands of FFG. I guess we’ll have to see how this goes in 2014. TheWorldofDust.net (Dust Tactics.Com) — This is the new official home for all things Dust. Official Forums — The new official Dust Warfare forums are on TheWorldofDust.net. Dust Warfare Force Cards – The cards that come with the miniatures are actually for Dust Tactics. While one could modify those cards easily enough it seems a shame not to keep them for games of Dust Tactics. Plus there are some unique DW attributes that are difficult to add. Well Rodney Smith and others to the rescue. Rodney has created a great set of Dust Warfare specific cards you can print out and use. So far there are two sets: The Core Set and the SSU Set. Also see post 449. There will be official DW cards in 2014. They will ship with all new Dust boxes as well as be available as sets. Dust Warfare Force Builder — So far there is no official Army Builder app or anything for Dust Warfare. Luckily C. Jackobson decided to just build his own. It is a website that gets the job done and produces basic text output for your army. Paolo Parente’s Dust Site — The man who started it all. Here you can see the Premium Models as well as the unique Dust 48 line. There is also Dust Terrain and of course Dust publications. If you can’t find these things at your local retailers or favorite online store you can order from Paolo and he will ship out quickly. Dust Warfare PDF Rulebooks — You can get the PDF versions of the rules from Wargame Vault along with the expansion/campaign books. Dust Chronicles — A fanzine devoted to Dust Warfare and Dust Tactics. Very well done. Fantasy Flight Games’ Dust Warfare Forum — While TheWorldofDust.net has the official forums FFG’s Dust Warfare forum still seems available. BattleTactics TV — BTTV has some excellent videos that cover the Premium Models as well as other aspects of the game. Beasts of War Dust Warfare Coverage — The blokes over at The Beasts of War occasionally have some good DW bits including video unboxings of new units. Also see their YouTube Channel. BoLS Dust Warfare Coverage — The Bell of Lost Souls occasionally pulls itself away from 40K and covers Dust Warfare. Unit Forward — Unit Forward is a Dust Warfare site with excellent coverage. Great photos and lots of AARs and game resources. Also home of Zero Station a Dust Warfare podcast. Dust-War — Another fan site with solid Dust Warfare coverage. Watch It Played — A series of videos on how to play Dust Warfare. This entry was posted in 28mm, Dust Warfare, Dystopian Wars, Sci-Fi. 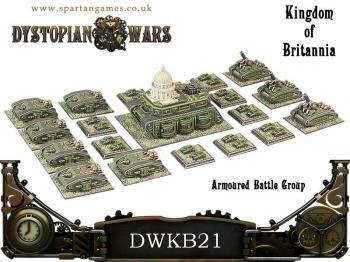 Spartan Games announced a number of significant updates to their steam punk miniature rules Dystopian Wars. They are changing the model assigned rules (MAR) and stats for a number of models. You can get all the details from their State of Nations post. They also announced some rules changes and released updated pdfs of the new Stat Cards in their Fate of Nations post. Spartan also released related updates to the master rulebook. This entry was posted in Dystopian Wars, Naval Warfare, News and Updates, Sci-Fi. The folks over at Beasts of War have been going crazy over Spartan Games’ Dystopian Wars this week. 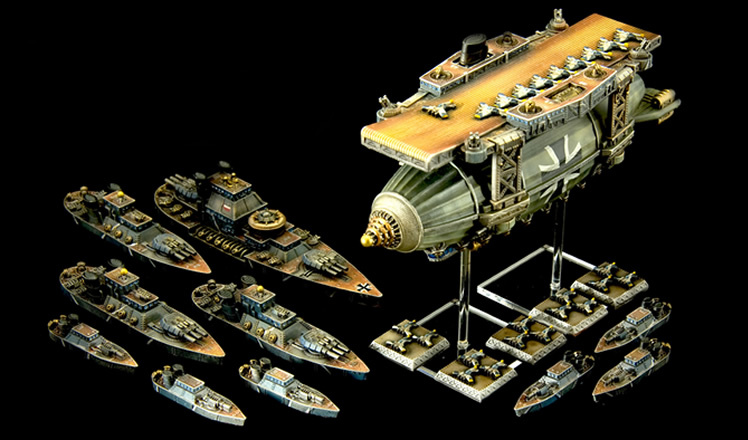 They have put together an excellent collection of posts and videos about all things Dystopian Wars. Of particular note are the videos that cover the world of DW as well as how to play DW (part 1 and part 2). They do make a few minor errors with some of the rules but nothing of real significance or that you wouuldn’t catch after your own reading of the rules. But if you have any interest in Dystopian Wars this is a must see collection. This entry was posted in Dystopian Wars, Naval Warfare, News and Updates, Podcasts. Spartan Games is on a real tear this month with new releases and a ton of announcements. To launch it all they completely redesigned their website with a very attractive design that showcases their products well. First off are the release of the first Dystopian Wars ground forces. Each of the major factions get an Armoured Battle Group plus each unit type is available as separate platoon packs as well. On the naval side new support ships released for each faction such as the Prussian Stolz Class Destroyer. We even got our hands on the big boys with each faction receiving a new Dreadnought class ship. The DNs are truly huge and are about 50% larger than even the impressive battleships. 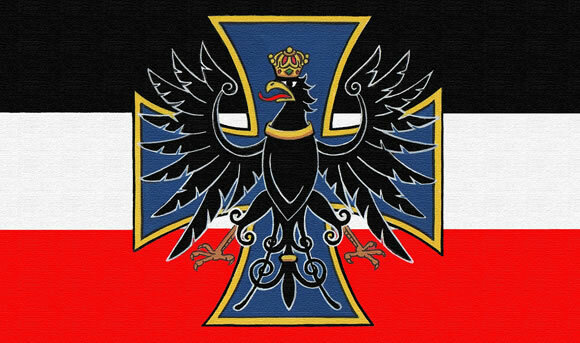 Our favorite of course is the Prussian Blucher class DN. If all of that was not enough Spartan announced the imminent release of the ‘specials’ for each faction including the Prussian Metzger Robot (including both submerged and walking versions), Britannia Vanguard submarine (including both submerged and surface versions), Blazing Sun Ika Class Mechanical Squid (including both submerged and surface versions), and FSA John Henry Class Robot. But by far the biggest announcement that sent every Dystopian Wars fan into a frenzy was that of the forthcoming Covenant of Antarctica forces. Spartan pulled out all the stops and is releasing a full Naval Battle Group, Drone Fleet Carrier and the Armoured Battle Group all at once. The Antartican design is very sci-fi and fits well with their fluff as the most technologically advanced of all the factions in the game. To top it all off the Naval Battle Group box also ships with a 40-page army guide that includes all of the background, rules and stats for the Covenant of Antarctica forces (also available for separate purchase). And there is even more Antarctican goodness to follow! Even the boys from the D6 Generation get in on the act and interview Neil Fawcett about Spartan activities and also give a look at how the Dystopian Wars ground forces play goes. 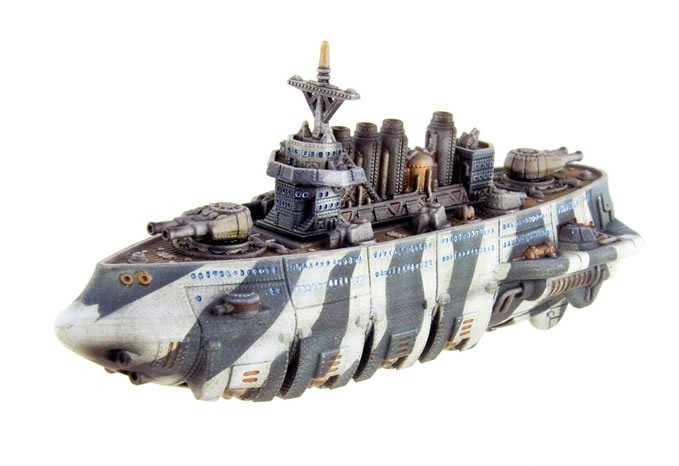 Neil makes a surprise announcement that the long awaited Republique of France (RoF) Magenta Class Battleship will be available (in both waterline and flying versions) in limited quantities at Gen Con 2011 and available for all later this year. Craig surprises everyone by revealing that he is now working for Spartan Games as a freelance writer and that he was responsible for all of the great Firestorm Armada fluff on the Spartan site and is now working on more goodies. See Episode 83 and fast forward to 3hr 3min to get right to it. Spartan has not forgotten Firestorm Armada either. First off we got the new Xelocian ships. The Hantari Cruiser does not have colored ‘power rods’. They are the same clear plastic rods used for the flying stands. The advantage of course is now you can ink them your preferred color. Then Spartan stopped playing around and decided to simply dump all available resin into one model and previewed the upcoming 9″ Perditor Leviathan model. But I guess the mold overflowed a bit so they decided to release Dreadnoughts for all six fleets as well! They also previewed the Directorate Persecution Class DN. As mentioned, Craig worked on some FA fluff so we would guess we could expect some more of the same and possibly even a new FA book of some kind — Perhaps the previously hinted at Alliance army book? Maybe Russ and Raef can get some info out of him with Neil safely overseas ensconced in his island fortress! If all of that was not enough to deplete your wallet then Neil gave some hints that the new FA-era ground combat game, Invasion, may be released in late 2011 or early 2012. This entry was posted in Dystopian Wars, Firestorm Armada, Naval Warfare, News and Updates. 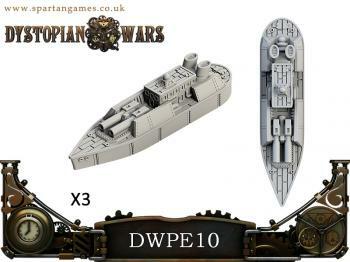 Spartan Games has posted some very nice previews of upcoming Dystopian Wars miniatures. There is the first robot we have seen for the game, the John Henry Class flying robot — sort of a giant Iron Man — for the FSA. 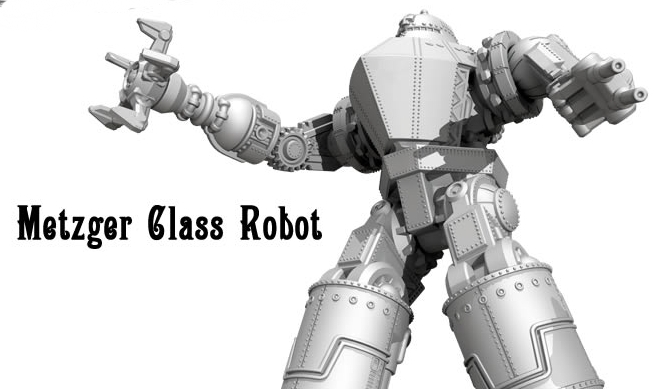 Then we have the land and ocean going Metzger Class Robot for the Prussian Empire (also see a color render). The Kingdom of Britannia get the Vanguard Submarine. 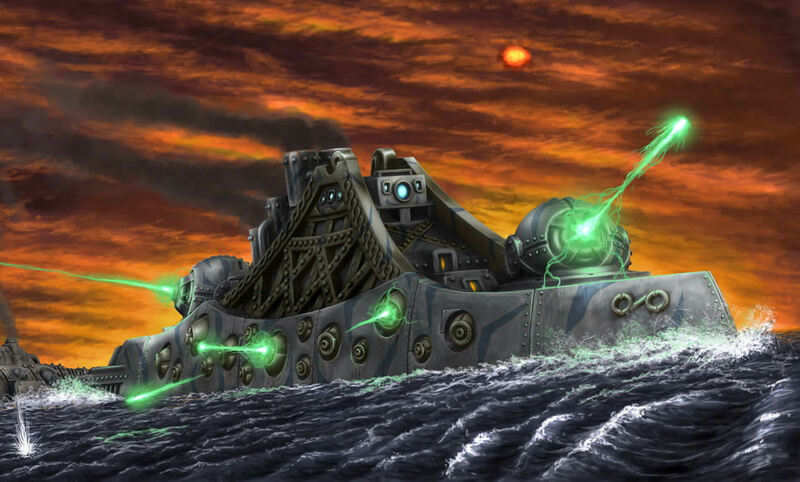 Lastly, the Empire of the Blazing Sun receive the Mechanical Ika squid submarine. All the minis have the great detail we have come to expect from Spartan Games and fit into their respective nations well. 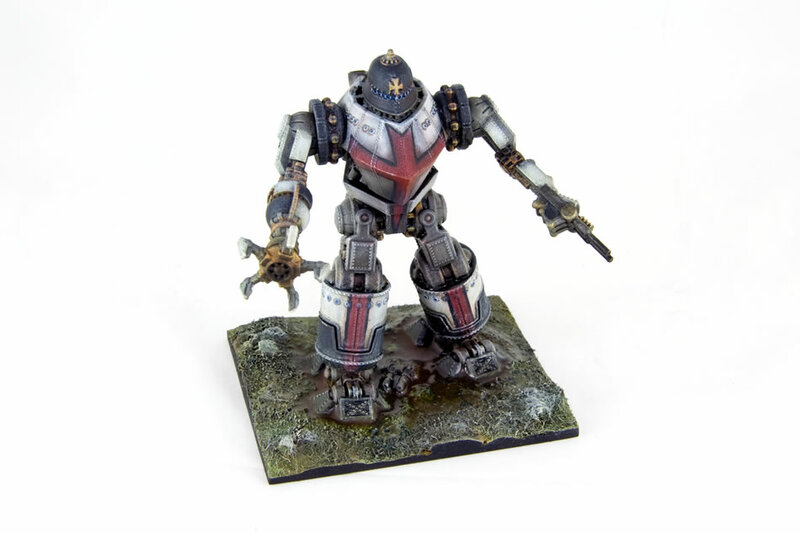 This entry was posted in Dystopian Wars, Miniature Wargames, News and Updates, Sci-Fi. Imagine a world similar to our own, but subtly different. Now imagine the year is 1870 and the Industrial Revolution occurred decades earlier than in our own world. Technology is far advanced, and in many cases, unrecognizable, which has led to the development of fantastic naval vessels, hulking land ships and terror from the skies in the form of airships and war balloons. Well the D6 Generation boys have outdid themselves once again. They have done a mammoth review of Dystopian Wars, the new miniatures game from Spartan Games. Craig outdoes himself with a wonderful dramatic Dystopian Wars introduction. The review is in fact so big they had to split it into two segments (1st at 1:12 and 2nd at 2:32). This is by far their best review yet. They go into exacting detail on the game’s background, the rules, the miniatures as well as the actual game play. It is also one of their best reviews in terms of overall listening entertainment and general flow. You can download very well done ship/vehicle stat cards from the Spartan Forums. Also don’t miss the D6G’s excellent interview with Spartan Games’ owner Neil Fawcett. We have bought a number of games that we never would have based on input from the D6 Generation and Dystopian Wars will probably be yet another. 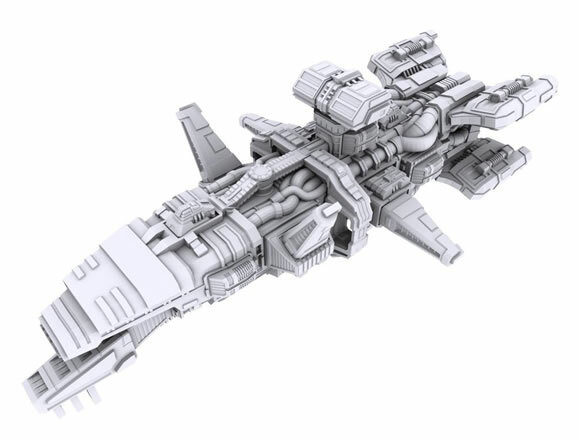 While the miniatures are of the same high quality and detail as Spartan’s Firestorm Armada miniatures, they do not particularly appeal to us, but the rules sound so good we will probably pick some minis up anyway or may proxy in FA ships or even WW2 ship minis. Also see the Spartan Games Interview. Also see Dystopian Wars — Getting Started Week. On a related note, I picked up Boneshaker after hearing Craig praise it a few times. I have never read any Steampunk titles before and only a few zombie titles. 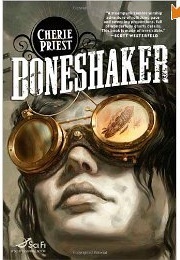 Boneshaker is rather light on both but is a very well written and interesting adventure story with an evocative world and some strong female characters. If you want a good read give it a shot. This entry was posted in Dystopian Wars, Miniature Wargames, Naval Warfare, News and Updates, Reviews, Sci-Fi.